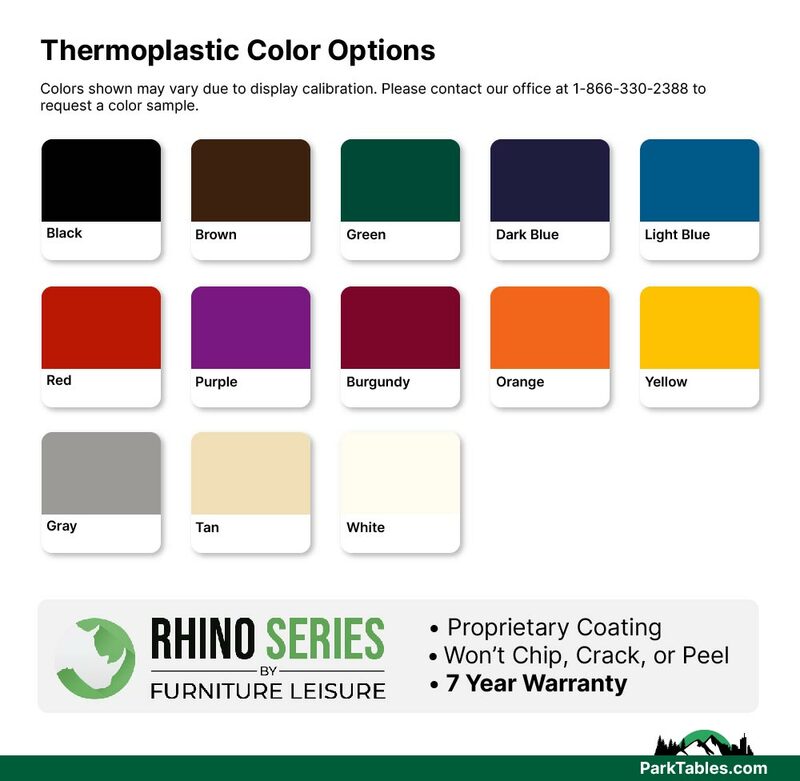 RHINO Commercial Outdoor Furniture is made of industry leading polyolefin thermoplastic and US sourced powder coated steel. 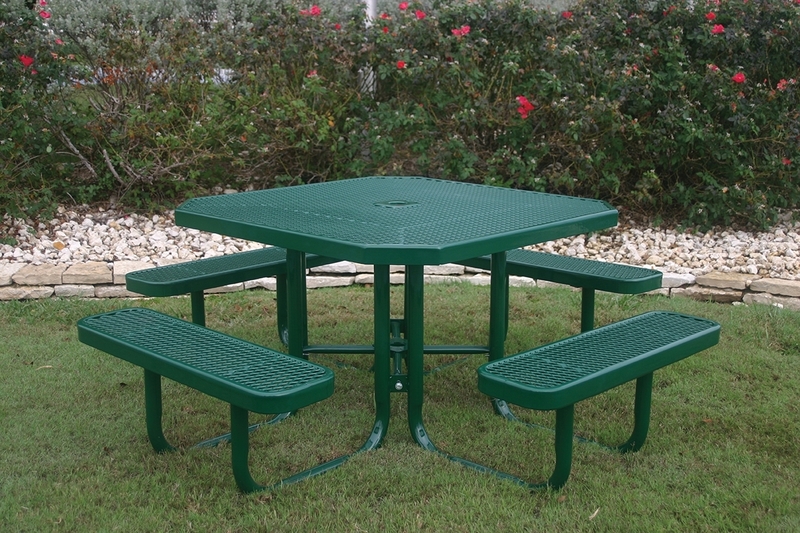 This octagonal picnic table combines Strength, Endurance, and Style! Made for commercial use in parks, restaurants, and schools - this picnic table will last for many years with little maintenance. 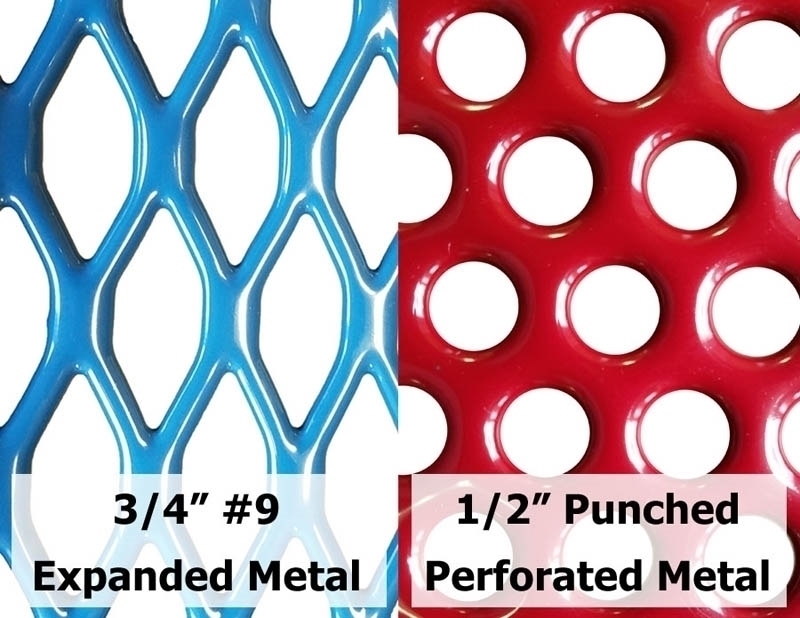 The top and seats are made of either 3/4" expanded metal or 1/2" perforated metal and the frame is made of 2" powder coated steel. Includes 1" round tubing cross brace and 1-1/2" flat inside bracing for strength and durability. 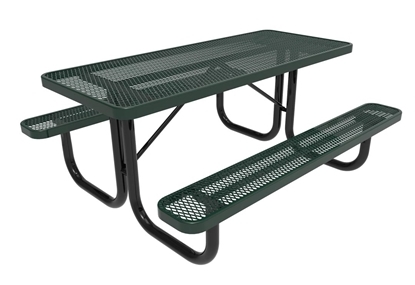 RHINO commercial picnic tables are made to last in commercial environments such as schools and parks. 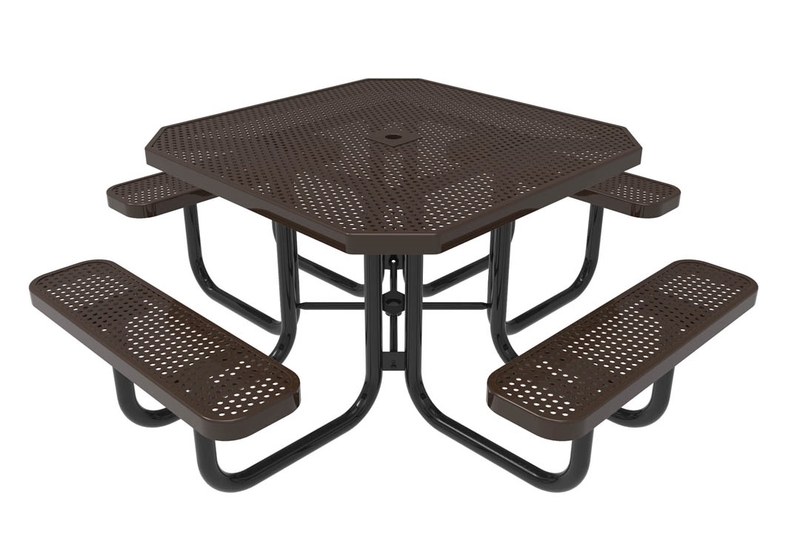 • 46" diameter octagonal top with 4 attached seats.